Keep your audience on the website. 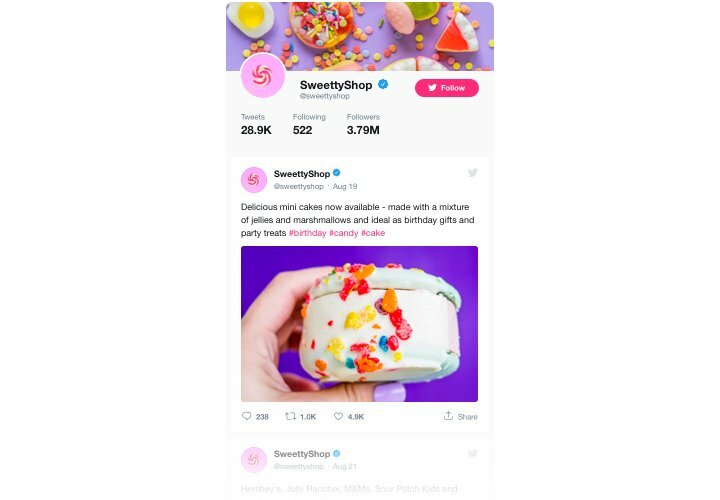 Keep your audience on your site for a longer time, revealing carefully selected Tweets on related topics or involve them into your Twitter-promoted contests. Grow the number of followers. 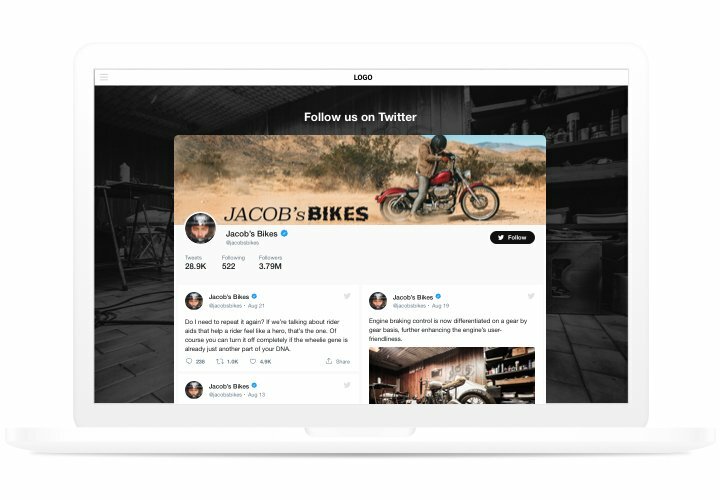 Interactive Elfsight Twitter feed enables clients to subscribe to your account straight from your site. 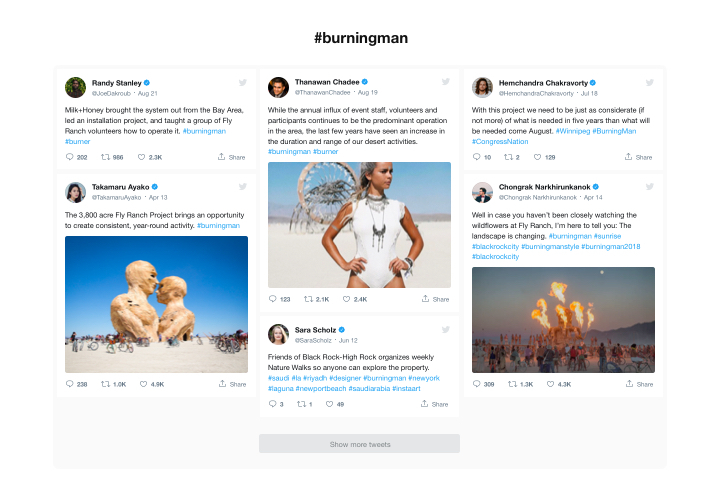 So you can use one more source of followers and grow your Twitter community. Boost trust with testimonials Tweets. 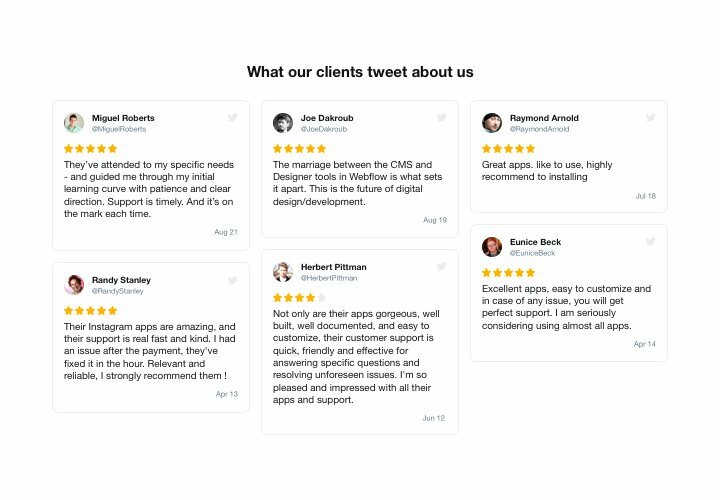 Pick the best client testimonials about your business from Twitter and unveil them on your site to elevate the level of credibility and make your items look even more attractive for your users. Our extension features easy integration and will not require experience in web programming. To follow the tutorial, you will need not more than a couple of minutes. Set up the extension. On Magento marketplace, find the extension page and click «Add to Cart», to launch downloading. Go to your control panel of the website and activate the extension. Configure the extension. 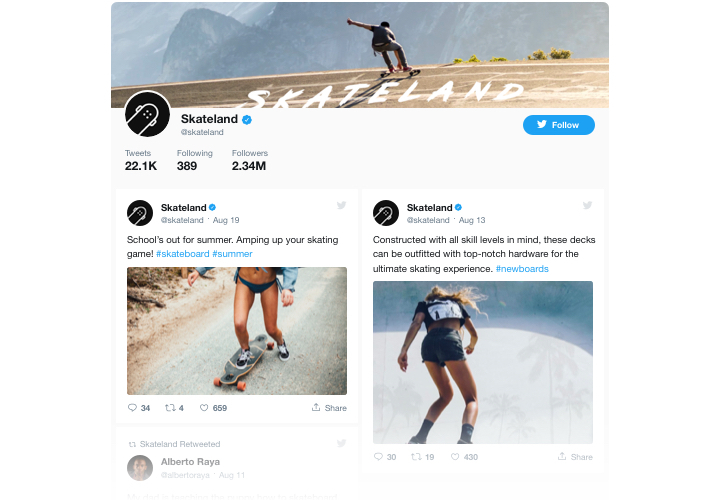 Set the preferred parameters of the appearance and add content to your Twitter Feed. Publish the extension on a page. Install the extension into the necessary area of the website and save changes. Done! Visit your Magento site, to view your extension! Experiencing any difficulties, while displaying or adjusting the extension? Leave an enquiry at our Support Center. 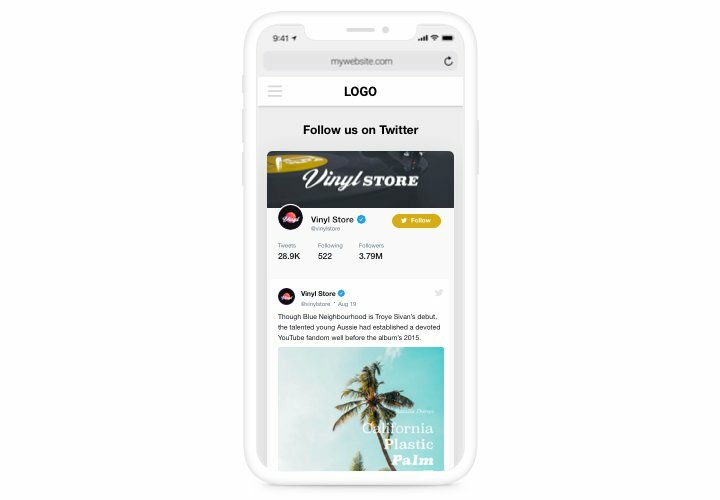 Create a unique Magento Twitter Feed in only 2 steps!